More than 20 years giving color to the walls! 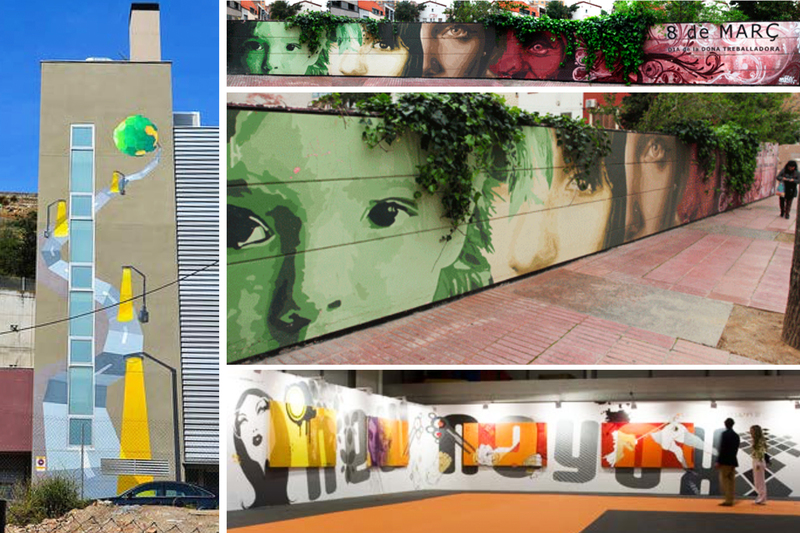 Murals XXlarge, projects for buildings and integration with the environment. Collaboration with architecture studies. 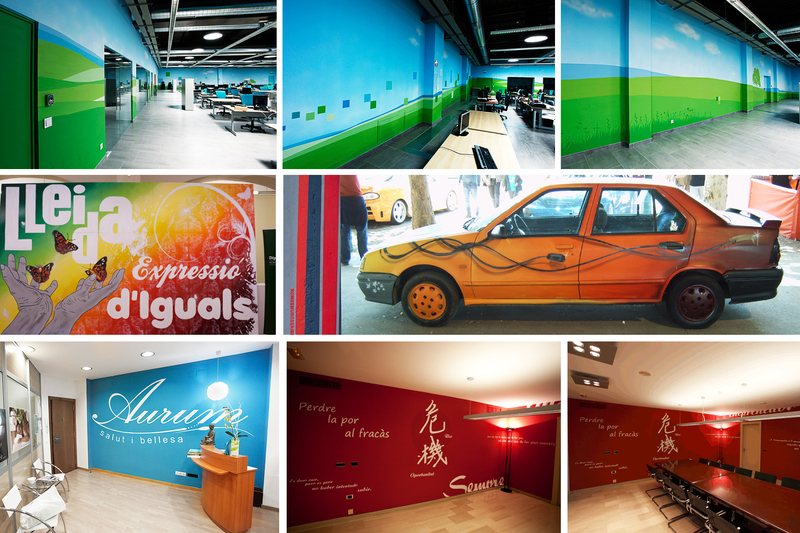 Murals for offices, blinds and facades. We promote the image of your company. Decorative murals with a wide variety of themes and styles. For interiors and on any type of surface. 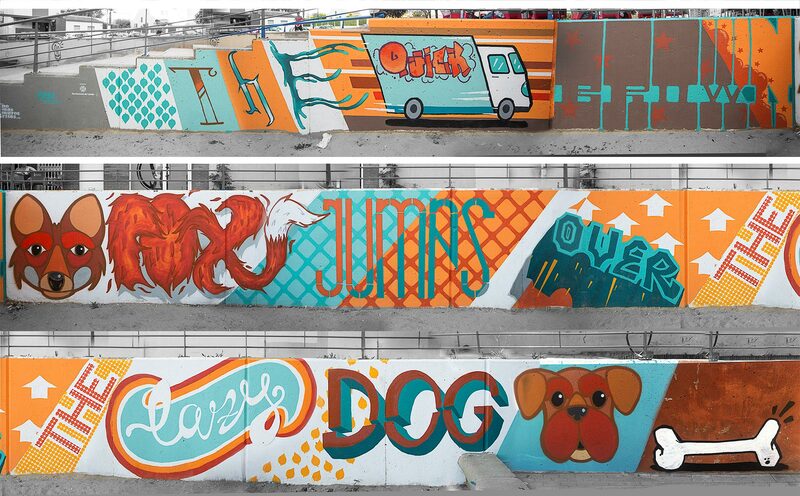 Performing graffiti for audiovisual productions, advertising, video clips. Creation of graphic pieces in vector or 3D format for your most urban projects. Live painting and installations for events.. Courses and workshops for all ages where we teach students the historical, theoretical and practical bases of Graffiti and StreetArt. We prepare projects adapted to the needs of the group. 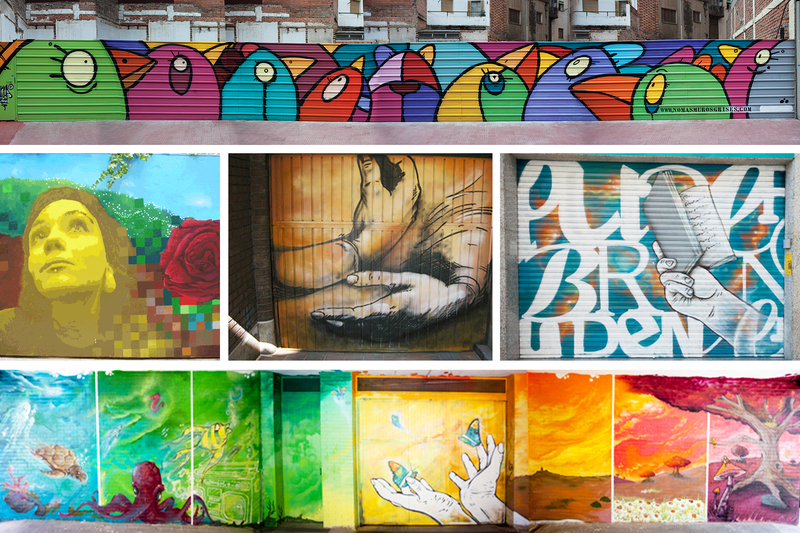 Urban art is part of our DNA, we have more than 20 years of painting graffiti. The small commissions that we were already starting to make in the mid-nineties were added to the experience in the design, illustration and audiovisual sector, resulting in the NoMásMurosGrises project in 2009. NoMásMurosGrises is a platform that allows us to investigate with Stret Art and play with painting and different techniques so that we can offer our customers a differentiating product.